Toronto is such a big film festival that some bad films could easily have slipped through their selection process. And, admittedly, there are times when, for whatever reason, I’m just not receptive to a movie. Whether these films are demonstrably sub-par, or whether they just caught me on the wrong day at the wrong time, these are the films from 2011 TIFF that I look forward to forgetting. Alexander Sokurov, the director of Russian Ark, presents his version of Goethe’s Faust in a 1.33:1 aspect ratio. The film is a vivid gray (if such a thing is possible), as though the world itself were devoid of color, but captured on Technicolor. Two primary characters — Faust and the money-lending devil trade words in German and walk the streets for more than two hours. There are moments of visual interest, especially in the beginning when we meet the good doctor performing autopsies. There are moments of interest between characters, as when his assistant professes a love for the doctor that seems to go beyond the employee-employer relationship. But long dry spells and that oppressive grayness make Faust a taxing experience. I am an Anglophile but there was an English film at Toronto that had me rethinking my love for the isles. I didn’t stay for the whole thing so it’s not fair to mention it by name. I spent most of my brief time pondering how to exit the theater without disturbing the other patrons. It’s the same question you ask when pulling off the band-aid — do it loud and fast and be done with it? Or ease out quietly so as to make the least disturbance? The characters were cold and emotionless — not a good sign for a film ostensibly about passions. The dark film lacked detail, and the music — a melodramatic string quartet that sounded out of date — was asked to do all of the emotional work. I was interested to see the first third of Land of Oblivion. It takes place in Pripyat, the city nearest the Chernobyl nuclear power plant, on the day of the accident. I went through my “Chernobyl phase” a few years ago, avidly reading all I could find about the accident, and I recognized all of the events presented in the film. The locals didn’t know anything was happening until about a day after the accident, so they spent an oblivious day standing in the radioactive rain. One of the citizens knew something was up and had a Geiger counter, yet he was forbidden from telling his neighbors anything until the authorities decided what to do. When the town evacuated, pets were left. Some rural farmers refused to leave. All of these details held my personal interest as I recalled my earlier fascination. Then at the 30-minute mark, we jump 10 years later, and tour buses are returning to Pripyat. I think much could be done with the remaining 60 minutes in a film that starts this way, but I lost track of the emotional back-and-forth between Anya and her two lovers. The day of the accident was her wedding day, and her first husband died trying to clean it up. Now she’s torn between two men, one who wants to live rustically in the Zone. Maybe it’s my fault for being more interested in Chernobyl and its aftermath than the emotions of an indecisive woman, but I was hoping for something else. 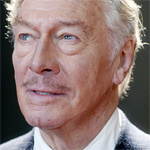 It’s impossible to fault Christopher Plummer in Barrymore. What’s easier to fault is the decision to present on film a one-man play. Granted, it’s been done before, and well (Philip Baker Hall in Secret Honor, for one), but it’s a hard sell. Plummer plays an aging and fading John Barrymore, rehearsing on stage, for an “evening with” performance featuring recitations, jokes, and personal anecdotes. But Barrymore is so far gone that he can’t make it through his rehearsed bits without slipping into tangents about whatever memories spring to mind. Deliberately, self-consciously stagey — a man on a stage rehearsing for a performance, using theatrical delivery and conceits — Barrymore doesn’t work as anything other than a stage play. There are a few nods to film as a medium — graphic match cuts link re-enactments back to the primary setting, the film stock changes to black and white in one sequence, a two-part conversation is edited a la the Pixar short Geri’s Game — but overall the film is so static that, without that electricity of a live performance, it feels like a failed experiment.